Choose a category below and enjoy the most fresh content on listing trends, tutorials, infrog news and updates! Start by opening the designer template tool. inkFrog offers sellers hundreds of designer listing templates as starting points for beautiful eBay listings. As we've shown in the past, it's easy to browse through the library, choose a favorite or two, and then customize them for your store. But what if you don't want to make use of someone else's work, colors, and images as the basis for your own listings? What if you already have a look in mind and think it might be easier to start from scratch? Can you do that in inkFrog? Absolutely. Here's how. 1. Open the "Templates" tool and select "Designer Template." In your inkFrog account, click "Templates" in the left sidebar to open the templates tool. Then, select "Designer Template." This is where you select designer templates to customize, yes, but it's also the starting point for your own template work in inkFrog—after all, what you're about to do is create a designer template of your own! Then, create a new blank template. 2. Select "Create," then "Default Template" to create a brand new template. With all the glam of our designer templates occupying screen real estate, you may have missed the unassuming little option labeled "Create." Click it. You'll be shown a dialog asking for which template to use as the basis for your new template. Select "Default Template," which is completely blank but for a title, description, and listing images on a white background. After selecting the default template, click "Continue." With a basic Amazon store you get one image and a text area—but it can be enough! 3. Name your template and select a category. Enter a name for your template, then select the category where you plan to use it. The name is for your benefit—so enter something that is meaningful to you and that you'll recognize later on. Then, click "Create" to open the editor, which will show the very basic, completely unstyled default template. You're ready now to get to work. 4. Adjust the layout to include the elements you'd like to see. Everything is on a white background. It's tempting to immediately begin working on colors and flashy art, but the first thing to do is to decide on what additional elements you'd like in your template. Your new template starts as just a basic shell. It's up to you to bring it to life. Do you want a header area with a company logo and more about your company and products? Do you want an area below your title, description, and images where you'll promote other goods? Do you want several tabs for things like usage and return instructions? Use the "LAYOUT" tool in the left sidebar and select "Add Row" to add new rows to your template where you can place additional text and images of all kinds. For each row you add, you'll be asked how many columns it should contain and how these columns should change if the window is to narrow to show them all (the "Tablet" and "Phone") modes. Start by adding new rows to hold the additional design elements you'd like to see. 5. Add text and images. Use the "TEXT" tool in the left sidebar to insert tabs and tab text, store links, or other kinds of text into the rows and columns you've just created. Use the "MEDIA" tool in the left sidebar to insert images, image carousels, icons, shapes, or videos into the rows and columns you've just created. Use the left sidebar controls to add new text areas, tabs, or images to your template. If you find that you need to change the order of the rows you've added to your template, return to the "LAYOUT" tool and hover over a row to move it up or down. Once you've got the text, the tabs, the icons, and the images in the right places, now is the time to return to overall style elements like colors, font sizes, background colors, and so on. Customize these just as you would any of our pre-built designer templates. Use the right sidebar controls to change to look and feel of anything you add. Work until your template is just the way you want it—then, save and exit and it will remain in your template library where you can leverage it to create future variations for new categories and new products in the future. Yes, you can also use inkFrog's designer template infrastructure to create your own beautiful templates from scratch. Here's how. If you're a cautious lister, you'd probably like to have some idea of what's going to happen and what shoppers are going to see the moment you click the "Save to library & launch" button in inkFrog. Even more importantly, you'd probably like to know, when you've scheduled a listing for the future, what's going to happen when inkFrog tries to push it live on eBay. What if there's a glitch in the template you've just created and it looks odd? What if your item description reads a lot longer than you thought it would? What if you've forgotten an important listing detail? See how your item description will look in the template you've selected. Check your listing data for any errors that may prevent it from going live successfully. See a fee-table-driven estimate of the basic (before promotions) listing fees for the listing. Let's take a deeper look at these options now. Use the "Preview" menu to check your work before listing or scheduling. ...will look when inserted into the template you've selected for the listing. This is a great tool for catching unexpected glitches that happen, often because text is longer than expected, images don't appear in the order expected, or other similar foibles that you might not otherwise catch before a listing goes live. The tool's operation is simple—you opt to preview the listing and a new pop-up window is opened showing just the portion of the listing and template that shoppers will see in the item description area. Use "Preview Listing" to check your title, description, and images in your chosen template. If you see something you don't like, close the preview and either edit your listing or edit your template. If all looks well, close the preview comfortable in the knowledge that your listing looks great. This tool has two uses. The first is to catch listing form errors—for example, times at which you've forgotten to enter a listing detail or entered some combination of listing details that is forbidden by eBay or that doesn't quite make sense. To use the tool, fill out the listing form completely until you believe you're finished and ready to list. Then select "Check Errors & Fees" from the Preview menu. If there are problems or inconsistencies in your listing, inkFrog tells you what they are. If the check finds errors, make a note of what they are, then click "Close." Go back through the form and rectify them, then re-check when done. This rough estimate of fees acts as a good sanity check—have you entered the price correctly, or did you enter an extra digit (or omit a required digit) as you typed? Did you select the right category for this product? If you've made these kinds of ham-fisted mistakes, you'll soon be able to spot them easily using inkFrog's estimate. The tools in the "Preview" menu are simple but useful, enabling you to quickly perform sanity checks on your inkFrog listings before you push them live or schedule them to go live. They're not fancy, but they're not meant to be. They're simple, efficient, and they can help you to avoid nasty surprises with your listings. Wary of publishing or scheduling your eBay listings because you worry you've made mistakes? Use inkFrog's preview tools. inkFrog offers you hundreds of designer templates, to make your listings more user-friendly and encourage shoppers to buy. But as you customize them, are you inserting everything you can to make the sale? Here are five details that are often forgotten—but that can encourage shoppers to buy. People don't like to read, and they especially don't like to read sentences and paragraphs. But they do like to be sold on a product before the buy it. How do you get around this paradox and communicate about your product without using sentences? Use bullets. Whatever you're selling, find at least five positives or basic specifications about your product and include them in your item description as a bullet list. Position it so that it's easy to find and keep each bullet short enough to be easy to read. These bullets can mean the difference between moving on and taking action when a shopper is looking at your listing. Smart shoppers love bullet lists that conscientiously inform them about their purchase. 2. The reason you stock and sell this product. The "why I'm selling this" line is often assumed to belong to used items only ("I'm selling this camera because I upgraded to a newer one") but the fact is that there is a reason why you're selling this product and it's nearly always persuasive to shoppers. "The latest addition to our catalogue. We think you'll love it." "One of our best-selling products over the last year." "One of our highest-reviewed products." "Our product line wouldn't be complete without it." All of the above are honest sellers' reasons for including a product in inventory. They're also endorsements that will encourage shoppers to buy and reassure them that shoppers of all kinds are likely to have a positive experience. If you're selling variations of a product—with multiple colors, multiple versions, or other significant differences between each selection—be sure to include a photo that shows each variation in one place, if you can. Nothing kills variation sales as quickly as a shopper's inability to visually evaluate the actual variations of your product that they're interested in buying—yet without a variations image, shoppers may make their decision based solely on one variation, not knowing that they can scroll through many additional images in your listing gallery. Showing all variations together in one prominently featured image clues shoppers in to the fact that your product is available in their favorite color or configuration, encouraging them to make a selection for the one that they want. Lead with an image that shows every product variation, or that shows a product from every angle. 4. Your commitment to customer satisfaction. Think it's assumed that a seller will stand behind their products? Think again. Many don't, and shoppers are swayed by sellers who take the time to acknowledge this. "We are committed to satisfying our shoppers. If you have problems, contact us right away. We'll make it right." You haven't promised anything earth-shattering or committed to a specific course of action, so your options in each case are still open. But you have told your shoppers that you care about them, and that counts. This will also help to ensure that shoppers contact you with problems, rather than simply leaving negative feedback. 5. The name of your store or business. Be honest—have you forgotten about this in your listings? No, it's not required to make a sale on eBay. But featuring your business name prominently in your template encourages shoppers to remember you and your store from now on—and tells them that you're serious and professional about your business. If your logo includes your business name, then make sure that your templates feature your logo. If your logo doesn't include your business name, either tweak it to ensure that it does or add both your logo and your business name in nearby text to your template. Don't make this so large that it's overwhelming—shoppers eyes are naturally drawn to logos and business names without needing to be "yelled" at by an oversized representation. Just make sure that it looks good and is positioned somewhere near the top of your template. Pretty template. But who's the "Us" in "About Us" or the "Our" in "Our Categories" here? Tell them! As you build your listings and templates, think like a shopper—what would you like to see if this was your purchase? What kinds of details nudge you toward making a purchase? When in doubt, join your customer base and do what they're doing—go shopping for the kinds of products that you sell. Note which listings will encourage you to remember who's selling a product and to feel comfortable making a purchase. Then—learn from them and recreate their strategies. inkFrog offers you hundreds of designer templates. You may not be making the most of them if you don't include these five things when you list. We spend a lot of time blogging about the extra features that inkFrog offers to eBay sellers, but sometimes it's good to get back to basics and appreciate just how good some of inkFrog's core features are. For these reasons, it's important to have a tool that provides a good, centralized workflow for accomplishing all of these potential "handling orders" tasks. And inkFrog has one. For those who haven't used it, let's take a look. Every time someone orders a product from you on eBay, whether by winning an auction, by clicking the "Buy it Now" button, or by making an offer that you then accept, it generates an entry like this one inside inkFrog. Everything about each order is shown in one view—and you can take actions without leaving it. Product summary. The listing thumbnail, listing title, eBay item number, your own product SKU, shipment tracking number, an instantly recognizable indicator of shipment status, and quick-click buttons to change shipping or payment status are all right here, at the upper-left, ready to hand—and you can click to view the listing right away. Totals and figures. The quantity sold, sale price, buyer shipping costs and taxes, and the total sale price of the listing are all shown here, cleanly and concisely. Buyer details. Your buyer's name, address, country, and flag are shown along with their eBay ID, voice telephone number, email address, and a link to all of the other orders they've placed with you are shown here. Use the order history to see everything that has passed between you and your buyer, and to take action—without leaving the order view. Payment details. The eBay order number and payment method for this transaction are shown here, along with any "notes to the seller" that your buyer has left for you during checkout, so that you spot these kinds of messages immediately. Notes area. You can use this area to make your own notes about this transaction for later reference, so that you or your employees understand what's happening with this order if speed bumps occur or additional work becomes necessary. Complete history. Here you'll see, in chronological order, a history of everything that has passed between you and your buyer since this order since this order was placed—transfers of funds, messages exchanged, and so on—with links to instantly view and respond to each previous item. Sometimes it's nice to step back and look at the big picture—like appreciating just how much easier inkFrog makes life as an eBay seller on a day-to-day basis, thanks to simple tools like the order view. There's one more thing that deserves a mention here, while we're on the subject of why inkFrog's order pages are so great. Review orders or reuse listings from a year ago? No problem—if you've been using inkFrog. Just try that using eBay's native tools. Rather not? Then you'd better get inkFrog today! Sometimes the basics are the best part. Like inkFrog's order pages and the way they make life as an eBay seller easier. Some sellers were taken by surprise by eBay’s recent announcement that soon all fixed-price listings will be Good 'Til Cancelled listings. After all, unlike fixed-price listings of the past, Good 'Til Cancelled (GTC) listings run for 30 days and then automatically relist, incurring new fees in the process. Fine if this is what you intend—but it does mean the potential for what amounts to unintended rebilling of eBay fees. Click "Settings" → "GTC Watchdog" to start inkFrog's new Good 'Til Cancelled watchdog tool. Not to worry, though—as always, inkFrog is ready to help sellers to manage any eBay busywork they'd prefer not to handle themselves. Here's how to use it. Start the GTC Watchdog tool by clicking "Settings" → "GTC Watchdog" in your inkFrog account. The first time you start the tool, no rules will be visible (because you haven't created any yet). Once you've created rules to manage your GTC listings, they'll be shown each time you start the tool. Click "Create New GTC Watchdog Rule" on the upper-left to create a new rule for managing Good 'Til Cancelled listings. Click "Create New GTC Watchdog Rule" to create a new rule. Each time you create a rule, you'll asked to enter details about the GTC listings you'd like to manage. Simply go down the list, adding or selecting each detail, then click "Save new rule" when you're done. Edit or complete each of the items shown to build your new GTC Watchdog rule. Use the "Primary Category" option to decide which category of your listings a rule will affect. "Rule Name" — Enter a name for the rule you're about to create. This name will be shown in the list of GTC Watchdog rules you've previously created. "eBay Account" — Select the eBay account to which this rule will apply. Only listings belonging to this account will be affected by this rule. "eBay Market" — Select the eBay marketplace on which this rule will apply. Only listings on this eBay marketplace will be affected by this rule. "Primary Category" — Click "edit" to select a particular category to which this rule applies. If you select a category, only listings in the category you select will be affected by this rule. Leave this option at its default setting ("Any") to affect your GTC listings in all categories. "Pricing" — Specify the price range to which this rule applies. You can select any of equal to, greater than, or less than, then enter an amount. If you specify a price range, only listings in the price range you specify will be affected by this rule. Leave this option at its default setting ("Any price") to affect your GTC listings at any price. Be sure to check "Enable rule immediately..." if you'd like your rule to be active after saving. "Action" — Specify when GTC Watchdog should automatically cancel listings that match the criteria you've outlined. Enter a number of days here. Enter "1" to cancel listings one day before they automatically relist, "2" to cancel listings two days before they automatically relist, and so on. "Ignore Auto Relist Rules" — Check this box if you'd like inkFrog to avoid automatically relisting when GTC Watchdog is responsible for the listing's end. Note that this refers to relisting rules you've created inside inkFrog, not the automatic relisting of GTC listings at eBay. "Enable rule immediately" — Check this box if you'd like this rule to go into effect immediately upon saving. Note that if you have active Good 'Til Cancelled listings that match the criteria, they will be immediately ended, just as you'd expect. A count of the number of listings that would be effective is shown to the right of this checkbox. Once you have created and saved one or several GTC Watchdog rules, you can pause or resume them at any time on an as-needed basis. First, click "Settings" → "GTC Watchdog" to show the list of rules you've created. After you create rules, you can pause, resume, or edit them from the tool. Click the pause ("❚❚") button to pause an existing rule. While it is paused, it will have no effect. Click the play ("▶") button to activate a rule or to resume a previously paused rule. Click the pencil ("✎") button to open a rule once again for further editing. There you have it—inkFrog's newest tool arrives just on time, to enable sellers to avoid any sticky problems caused by eBay's transition to Good 'Til Cancelled for all fixed-price listings. And if you use a lot of fixed-price listings, but don't have inkFrog? Sounds like you'd better get it! eBay's choice to make all fixed-price listings Good 'Til Cancelled surprised many sellers. Not to worry—inkFrog has a tool for that. Some eBay, Amazon, or Shopify sellers are natural-born entrepreneurs with a head for business. They come up with spreadsheets in their sleep and can quote statistics and dollar figures over the lightest lunch. Keep track of the products that you source and how much it costs you for each item in your inventory. Others... get into online sales for the love of the particular products that the sell, or the particular niches in which they sell, or for the love of having an independent or home-based business. For the naturally data-challenged, here are seven basic conceptual steps that will help you to turn your labor-of-love eBay business into an eBay business that also uses real data to ensure success. 1. Track what you source and what it costs you. Whatever your method of sourcing products, keep a tally of which products you've acquired for resale and how much you've paid overall—including extra costs like any freight and customs costs—to acquire them. Without this basic information, it'll be hard to figure out which products are helping you and which products are hurting you down the road. 2. Track what you list. Keep track of which products you've listed and how you've listed them. Try listing them in at least two, or even several ways for each product. Try out different versions of your listings for each product—not just different titles, descriptions, and images, but different shipping and returns policies as well. Keep track of the listings that you create and which products they're associated with. 3. Track what you sell. Each time you make a sale, log it and associate it in your records with the particular listing and set of listing policies (returns, shipping, and so on) that led to the sale, so that you know which listings work for each product. All of this information will help you to understand which products and listings are profitable for you, and which aren't. 4. Track your fulfillment costs and fees. Monitor how many sales you make, how long it takes to make sales, and how much it costs you to complete each sale, including fulfillment costs and fees. These are real details that figure into your cost of doing business. 5. Figure out how much you earn for each sale of each product. Using the information you've logged above, for each product you sell, figure out how much it costs you acquire and sell an item, and how much you earn back each time you sell an item. 6. Come up with overall numbers. Which of these factors is most important to you will depend on your own business and the goals that you have for your business, as well as on your levels of patience and determination. 7. Cull the herd of losers, double-down on winners. At the end of the day, what will be clear to you is that some of your products are winners. They earn you money, and you don't have to wait forever for it to come back in after sourcing inventory. Some of your listings will also be winners. They work well to sell products—better than alternative variations—and entice shoppers to buy. Meanwhile, take the winners—the best products and the best listings—and include more of those kinds of products or listings in your business. Wash, rinse, repeat. As you can see above, running a numbers-driven business doesn't have to be rocket science. Even the least numbers-friendly person can keep a paper ledger or a basic Excel spreadsheet and run some basic numbers every now and then. Doing so is a key step to being a successful online seller—even if you're absolutely in love with your products, your niche, and your shoppers. Even if you're not naturally a numbers person, you can use these simple steps to help you run a successful numbers-based business on eBay. One of the great things about inkFrog is how it can help you to streamline and accelerate your eBay workflows, saving you hours and hours of work. A simple, clean eBay listing form that's little more than a title box, a description box, and a link to upload images? You can have it with inkFrog. Sometimes, saving mental clutter and needless scrolling is also a huge benefit, as these distractions can lead to accidental extra clicks and mental exhaustion by the end of the day. Did you know that if you've already created profiles and customized templates for your inkFrog listings, you can significantly simplify the process of creating new eBay listings with inkFrog? 1. Create profiles and templates if you haven't already. Though it's not absolutely required, you'll save the most time if you create default listing, shipping, payment, and return profiles for your eBay sales—and a library of the most common variations you'll use for each of these. Click the cog icon in the listing creator to bring up this dialog. It enables you to hide parts of the listing form you've covered using profiles, so that you can pare down your listing creation workflow to include only the parts of the form that you need to focus on. Take the time also to select a designer inkFrog template and apply the most common customizations to your template. With these things done, you're ready to race through listing creation in the future. 2. In the listing creator, click on the "cog" icon. At the upper left of the listing creator in inkFrog, there's a cog icon that enables you to customize the parts of the listing tool that will be expanded or visible by default. Click on this cog to see a list of the parts of the listing form—a list on which you can cause various parts of the form to be enabled (expanded) or disabled (collapsed) each time you begin creating a new listing. If you sell a narrow range of products or already have profiles created for each product, and rarely make changes to the contents of these parts of listings apart from applying an existing profile, you can simply uncheck them to hide them. 3. Use the drop-down profiles menu to apply particular profiles. In cases in which your default listing profiles aren't correct, use the drop-down menu at the top-right of the listing creator to apply alternate pre-defined profiles for your listings. Click "Prefill" to see the list of profile types and select the type of profile—master, listing, shipping, payment, or return—that you'd like to apply. In the pop-up menu that appears, select the profile you'd like to apply to the listing you're creating. You can use the "Prefill" drop-down list to pre-populate hidden parts of the listing form using profiles that you've previously created, saving you time and distraction. After you make your selection, the details from the profile in question will be applied behind the scenes—no need for your view of the listing you're currently creating to be cluttered by scads of details you've previously outlined. 4. Focus on the details unique to each listing. With your listing creator view cleaned up by hiding areas you no longer need to directly edit each time you create a listing, you're free to focus on a shorter, cleaner listing form. This enables you to speed through handful of items that do need to be customized for each newly created listing—for example, product images, title, and description, or whatever items you've left visible for your particular case. 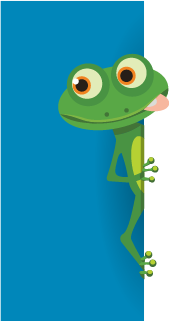 Little tricks like this—that enable you to pre-define profiles for the listings you create, then hide the parts of the listing form you no longer need to save you clicks, scrolling, time, and attention—are what inkFrog is all about. And with your profiles, template, and listing creator view customized, you'll be able to race through the creation of new listings at double or triple the normal rate—with better accuracy and fewer mistakes, too. Sound like you could use a tool like this? Try inkFrog today. A radically simple eBay listing form that you can blast through in seconds? You can have it with inkFrog. Here's how. There are at least a few dozen metric tons of tips, tricks, and tutorials to help you to sell more online, particularly on marketplaces like eBay and Amazon. It's true that most of this information is very helpful, but it's also true that there are a few useful strategies for boosting sales that are rarely mentioned on the blogs and in the YouTube videos. If you've taken care of the basics, have your stores up and running, and are happily using inkFrog for smooth day-to-day operations, here are four ideas to help you to go a step further in your marketing and sales efforts on eBay and Amazon. Both eBay and Amazon host product reviews that can sway shoppers when averages are positive. 1. Ask for reviews of your products. Both eBay and Amazon enable shoppers to write product reviews. Amazon is probably the single most important product review site online, and products that have a review average of four or five stars see a significant boost in sales over products with no reviews. eBay reviews are less well-known and less impactful overall, but even so, having a four- or five-star indicator above your catalog product listing can help to sway buyer decisions. On top of that, eBay also reveals which seller sold a given product to the shopper that reviews it, enabling shoppers to locate the sellers that have made shoppers for particular products happy. If you're confident about the quality of your products (and you should be), don't just use follow-up email to encourage shoppers to leave feedback about your eBay seller ID or Amazon store. Encourage them to write positive reviews your products as well if they're satisfied with their purchases. 2. Complete your store and seller profile information. On-the-fence shoppers can be wary about buying from independent sellers. This is particularly true if said independent sellers don't offer much information about themselves in the spaces provided. eBay and Amazon both offer store pages and eBay also offers a feedback profile page where you can brand your business with images and text about your business. Use this space to tell prospective shoppers about your business and to provide them with at least one graphic or logo that will stick in their memory. An empty or blank profile page suggests to shoppers that you're small-time, not established, or just not paying attention, while a nicely curated profile page says just the opposite and can encourage bookmarks and repeat sales. These days, it's easy to start a blog or a vlog to create content and excitement about your products and niche. 3. Promote or advertise your store in other online venues. Much of the tutorial information about selling on eBay and Amazon emphasizes being found in eBay search or achieving placement in the Amazon Buy Box. Both of these are important for eBay and Amazon sellers, respectively, but their reach is limited—they promote you to shoppers that are already on eBay and Amazon. Each of these strategies can pay big dividends in sales, and none of them needs to be particularly expensive. So if you've already spent significant time optimizing your product listings and marketplace profile, think beyond the marketplace and reach shoppers across the broader web. 4. Promote your business publicly. Search traffic is the lifeblood of online sales, yes, but for many sellers there are many additional sales to be earned by gaining exposure for their brand and business and building a network of interested, dedicated friends and shoppers—to make purchases and promote you by word-of-mouth. These strategies aren't day-one strategies for your business—it's important to get your listings, prices, policies, and fulfillment practices right first—but once these ducks are in a row, you'll be well-served by them. If, on the other hand, you don't have your ducks in a row yet—start by getting inkFrog and getting your products online and selling. Then, return to these tips when you're ready to take the next step toward an established business. Once you've got the eBay and Amazon basics in place, ask yourself whether you're doing these additional things to make more sales. These days, many online sellers offer their products on multiple marketplaces and websites. Multichannel selling is one of the best success strategies for growing e-commerce business. If you're an Amazon seller considering expanding to eBay, or an eBay seller considering expanding to Amazon, you've probably read about inkFrog and had questions about how inkFrog can help you to sell on both platforms. Here are our answers to some of the most common questions we receive about using inkFrog with eBay and Amazon sales. 1. Can I use inkFrog to help me sell on eBay and Amazon at the same time? 2. Can I use inkFrog to help me import my Amazon listings to eBay? Yes. Get an eBay seller account, sign up for inkFrog, then link your Amazon account to inkFrog. You can then import your listings for reuse on eBay, tweaking or customizing them in the process for maximum performance. Use inkFrog to get your existing body of Amazon products up for sale on eBay—quickly. It takes a significant amount of time to get a complete inventory up and selling on Amazon, and even longer to get a complete inventory up and selling on eBay one listing at a time. inkFrog enables you to start with the Amazon listings you already have, then quickly leverage those and hundreds of designer templates to build a complete inventory of eBay listings. 3. What does it mean that inkFrog can "synchronize" my eBay and Amazon listings? This means that once you have created eBay listings based on your Amazon listings using inkFrog, you can opt to have changes that you make to titles and descriptions stay "in sync" between the two platforms. When you link your Amazon account to inkFrog, you can choose whether to synchronize titles, descriptions, neither, or both, and whether updates will run in both directions or just one direction (and, if only in one direction, which direction that is). 4. What does it mean that inkFrog can "synchronize" my eBay and Amazon inventory? This means that once you have created eBay listings based on your Amazon listings using inkFrog, you can have inkFrog update available quantities on both platforms for you as sales are made. Once again the way in which this synchronization occurs is highly configurable, enabling you to think about your inventory as the number of products that you actually have on hand—rather than having to try to strategize about or balance the way in which you allocate inventory to each platform, and rather than having to try to manage two separate inventory numbers (one on eBay and one on Amazon) for each product. You can easily customize how inkFrog's listing and inventory synchronization work. 5. Can I use inkFrog to help me to import my eBay listings to Amazon? inkFrog is not able to quickly create a full complement of Amazon product listings from an existing body of your eBay listings. 6. Can I still use inkFrog somehow if I started selling on eBay first, and now want to add Amazon? Yes. Even though inkFrog does not create Amazon listings for you, you can indicate to inkFrog that an eBay listing and an Amazon listing are the same product in your inventory. Once you've done this, inkFrog can synchronize your eBay and Amazon listings and inventory just as described above. This means that even if you are an eBay-first seller that is looking to add Amazon sales to your business, you can still use inkFrog to save considerable time and effort and accelerate your business. 7. Does inkFrog provide e-commerce market research? inkFrog's e-commerce research is based on eBay data, so it is most directly applicable to sales and sales strategies on eBay—but the information in inkFrog research is also broadly applicable to e-commerce as a whole, including Amazon sales. inkFrog research is based on eBay sales, but can offer clues about Amazon strategies as well. That is to say that if a particular product is in the top ten products on eBay for the holiday season, it's a good starting assumption that demand on Amazon is strong as well. Conversely, if a product simply doesn't see any eBay sales, it's a good starting assumption that sales on Amazon will be limited as well. Ready to start selling on both eBay and Amazon at the same time? Then it's time to get inkFrog now! Have questions about the details when it comes to using inkFrog to sell on eBay and Amazon together? Here are answers. Do you sell online or have an online selling business? If so, you should be using inkFrog—or you're missing out. Why? Here are ten key ways that inkFrog makes your life as a seller not just easier, but far more profitable and efficient as well. You Sell on eBay. inkFrog makes just about everything having to do with eBay sales simpler and more convenient. If you're an eBay seller and you find yourself grumbling about—or procrastinating about—the little day-by-day tasks that you encounter on eBay, inkFrog is what you've been looking for. inkFrog's designer eBay templates and point-click editor make beautiful listings easy. Your eBay listings don't wow you when you look at them. With hundreds of designer listing templates that are easy to customize and are mobile-ready, inkFrog makes it easy to enhance your listings. Your listings, after all, should be working for you—impressing shoppers, convincing them to buy your product, and referring them to other products that you sell. That's what inkFrog templates are for. You spend too much time managing your listings. eBay sellers regularly find themselves needing to update dozens or even hundreds of listings at a time. This can take time—so much time that these updates sometimes don't happen because you have better things to do. inkFrog enables you to manage thousands of listings quickly, and to make changes to listing content or policies in bulk. Use several eBay accounts to sell? Manage them together and move listings between them quickly. You use multiple eBay accounts to sell. Using the eBay website, this means keeping multiple browser windows open, or logging out and logging back in repeatedly during the day as you run your business. With inkFrog, you can handle messaging, listing, and orders for each eBay account from the same inkFrog login, and you can move listings between eBay accounts with ease. You have employees helping you with eBay. If you sell via the eBay website, any employees that help you create listings or fulfill orders need full access to your eBay account. This is risky, and can lead to complexities and misunderstandings. With inkFrog, you can give each of your employees their own inkFrog login, where they have access only to certain parts of your business. Link your other sales channels to inkFrog and synchronize listings and inventory. You also sell on Amazon, Shopify, or Bigcommerce. inkFrog enables you to synchronize your listings and inventory levels between each of these major e-commerce platforms, so that you can achieve more coverage and reach without multiplying your work. If you sell multi-platform, you need inkFrog. You have trouble keeping up with feedback tasks. With inkFrog, you can configure and then automate your feedback—so that you can leave an assortment of the right feedback and appropriate times, without having to do the actual busywork. No more getting behind on feedback and missing out on positive feedback in kind. inkFrog analytics tell you who's selling well, what they sell, at what prices, in and what quantities. You need a better way to manage customer service. Keeping track of what's been paid for, what's been shipped, and what customer communication is happening can be confusing using eBay's seller tools. With inkFrog, on the other hand, all of this information is easily accessible, and the unified history for each sale and its customer interactions means that you won't get lost trying to figure out what's going on each time you hear from a customer. You're buried under creative assets. eBay doesn't provide you with any easy way to keep track of bunches of listing images, content, and profiles. This is fine if you're selling 50 things, but it's a disaster if you're selling 5,000. inkFrog provides search, folder, and profile tools to track and re-use what you create for your listings, without losing track of them. Have an existing store but want to move into eBay quickly? inkFrog's your best bet. You'd like to sell on eBay. If you're already on Amazon, Shopify, or BigCommerce and want to expand to include eBay sales, there's no better tool to help you to get there. Link your existing store and then quickly get your entire inventory up for sale as eBay listings, without having to start from scratch. If any of these are news to you or you find yourself thinking that you need a tool just like this one, don't wait—give inkFrog a try today. Sell on eBay, Amazon, Shopify, or Bigcommerce? You should be using inkFrog. Here are ten reasons why.